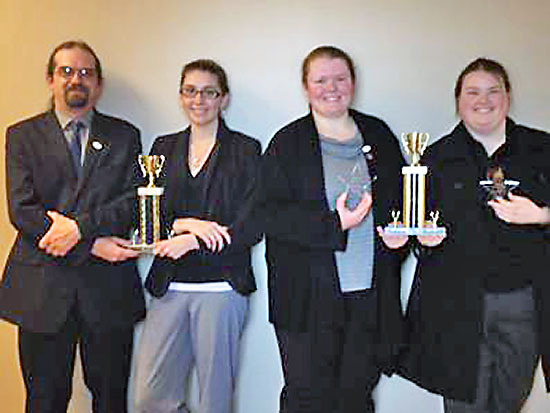 The Northeast State Debate Team hosted their 6th Annual Spring Fling Tournament last week with debaters from Tennessee Tech, East Tennessee State University, Walters State Community College, and Northeast State participated in the event. The field of 11 teams and 21 debaters argued topics ranging from the advantages of Israel reverting to the 1967 pre-war borders to school choice in the United States educational system. Debate Team members (from left) Rocky Graybeal, Anne Rowell, Britny Fox, and Sydney Crowder. The tournament consisted of three preliminary rounds, a semi-final round and a final round. Northeast State Debate Team members Sydney Crowder, Britny Fox, Rocky Graybeal, and Anne Rowell represented Northeast State. Graybeal and Rowell won all three of their preliminary rounds earning a place in the semifinal round. Crowder and Fox won two of their three preliminary rounds and also earned a spot in the semifinal round. In the semifinal round Graybeal and Rowell fell to the eventual tournament winners from Tennessee Tech. They earned the 3rd place team trophy. Crowder and Fox took home the 4th place trophy. Crowder was also named the 2nd place Best Speaker of the tournament while Fox earned 3rd place in the category. Northeast State debater Jordan Warhurst also competed as part of a hybrid team with ETSU. He earned a second place speaker ranking in his first round. Speech professor Dr. Rick Merritt praised all the competitors, tournament director Beth Ross, as well as faculty colleagues Professor Cate Strain and Dr. Laura Barnett who served as tournament judges. He also thanked tournament supporters Carrie Keys, Speech department colleague Dr. Ruth Livingston, event caterer extraordinaire Maureen Merritt, and Behavioral and Social Sciences division dean, Dr. Xiaoping Wang. Workforce Solutions at Northeast State is hosting a workshop April 23 on the Toyota Kata methodology, which is designed to foster a routine of daily improvement. Maintaining daily focus on the process has been identified as a key factor to sustaining continuous improvement. The eight-hour workshop – based on concepts developed by Mike Rother, author of Toyota Kata – will focus on the Improvement Kata and the Coaching Kata. The Improvement Kata is a daily routine that drives improvement, while the Coaching Kata focuses on teaching methods that reinforce Kata thinking and routine. The workshop is designed for organization leaders who seek a strong continuous improvement environment. This may include CEOs, managers, supervisors, lean champions, and facilitators. The seminar will be conducted by experts from the University of Tennessee’s Center for Industrial Services on the Northeast State’s Blountville campus, 2425 Highway 75, adjacent to the Tri-Cities Regional Airport. The fee is $375 per person with a $50 discount for groups of four or more. The registration deadline is April 9, 2013. To register, please contact Diana Harrison at 423.354.5520 or dlharrison@NortheastState.edu. The main campus at Blountville, 8 a.m. to 3 p.m.
Northeast State at Elizabethton, 386 Highway 91, 10 a.m. to 2 p.m. Regional Center for Health Professions parking lot, Northeast State at Kingsport, noon to 4 p.m.
Every successful donor gets a free t-shirt and is entered in a drawing for a e-reader. One blood donation can save three lives! Please donate and give the gift of life. 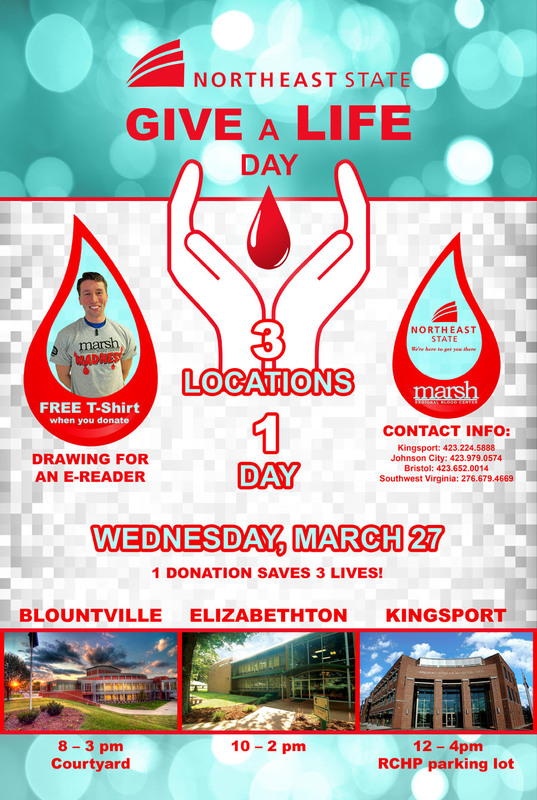 Information, contact Marsh Blood Services at 423.224.5888. 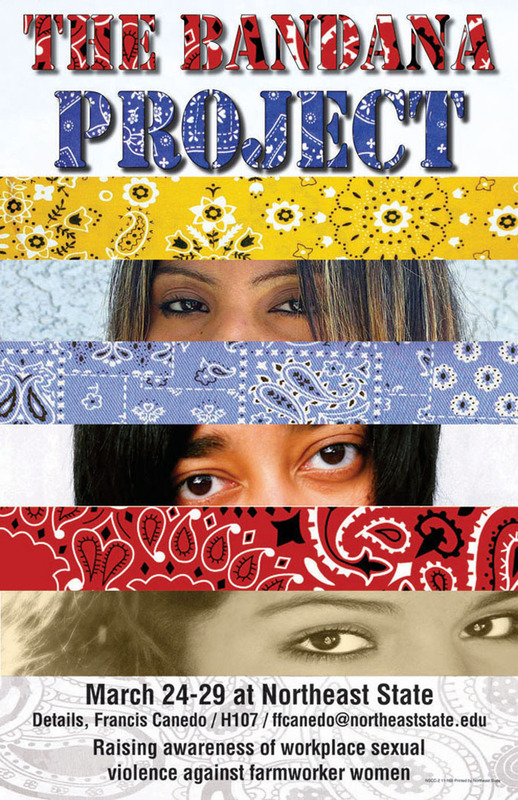 The Bandana Project is a national campaign to raise awareness and educate farm worker women about their rights. Women farm workers wear bandanas to hide their faces in the fields to help protect themselves from sexual harassment. The Bandana Project seeks to raise awareness about their plight with bandanas are being painted and decorated across the country as a symbolic gesture of support for farm worker women. The contributions of past Bandana Project artists are being displayed now on the first floor of Basler Library. Northeast State invites students to participate in decorating events March 25-March 28, in the Locke Humanities Building. Deadline to submit decorated bandanas is March 28, at 4:30 p.m. in Room H-107 of the Humanities Building. Winners will be announced April 5. 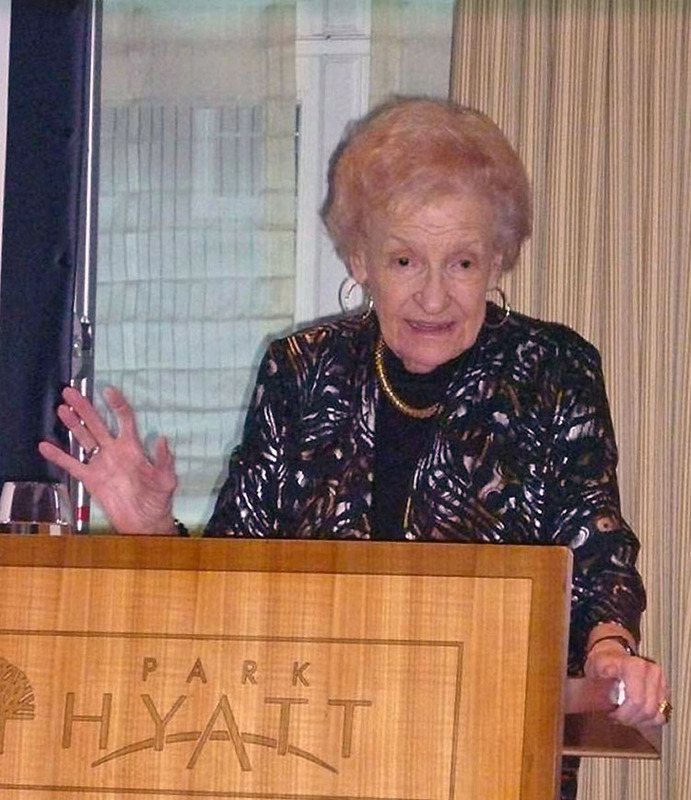 Holocaust survivor Esther Bauer speaks tonight at 7 p.m. The story of Esther Bauer comes as the witness of a young woman who saw the rise of the Third Reich and the Jewish Holocaust. She endured the imprisonment of her parents, the murders of her husband and mother, and herself being a prisoner in a series of concentration camps including Auschwitz. Northeast State welcomes Bauer to campus on March 20 for a free lecture at 7 p.m. in the Wellmont Regional Center for the Performing Arts on the main campus in Blountville. In her unforgettable and moving lecture, Bauer recounts her harrowing experiences as a Holocaust Survivor. She shares the story of her amazing, educated, and liberated mother, Dr. Marie Anna Jonas, who was a medical doctor who was stripped of her ability to practice by the Reich Citizen Law against Jews. It did not matter that her mother had received the honor cross (Ehrenkreuz) for her services treating German soldiers during World War I. Born in Hamburg, Germany in 1924, Bauer grew up to see the rise of National Socialist Party and Adolph Hitler. Her father, Dr. Alberto Jonas was the principal of the Jewish Girls School, and her mother was a medical doctor. On July 19, 1942, Esther, her mother, and her father were deported to the Theresienstadt Jewish ghetto in Czechoslovakia, where from one minute to the next they were prisoners. Bauer’s father died only six weeks later of meningitis. After two years at Theresienstadt, she married because her then friend, not yet husband, got the order to be sent with many others to the city of Dresden to build up a new ghetto. He and the other men wound up in the dreaded Auschwitz camp. After the men had left, their spouses were told they could go voluntarily after their husbands. Bauer went and landed in Auschwitz where her husband was murdered. In October 1944 her mother was herself deported to Auschwitz and later murdered there. Bauer survived and was later sent to a women’s labor camp in Freiberg, a satellite camp of Flossenbürg concentration camp. She was later transported to Mauthausen concentration camp in Austria as the Allied forces closed in on Berlin. U.S. troops liberated Bauer and her fellow prisoners from Mauthausen on May 5, 1945. For more information about this event, visit www.NortheastState.edu or contact 423.279.7669 or jpkelly@NortheastState.edu.